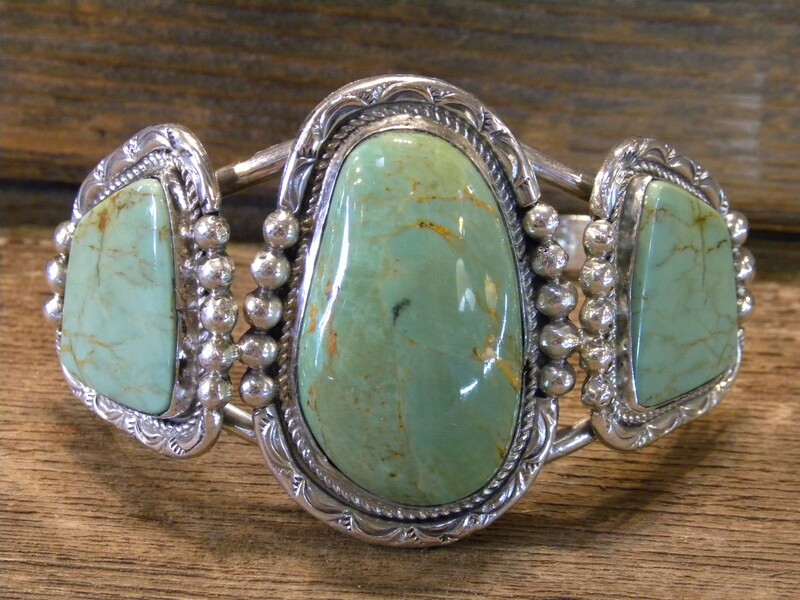 Sterling silver Navajo handmade by Monroe and Lillie Ashley bracelet with Royston Turquoise. Circumference: 8" has opening of 1 1/4"
Monroe and Lillie Ashley have been making jewelry for over 40 years. They do custom orders and we have tons of stones to choose from or you may bring your own.